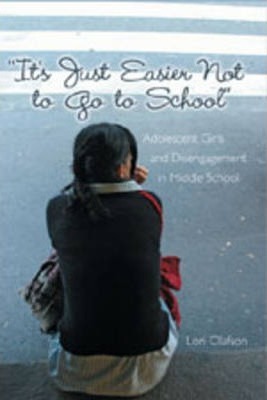 This book examines the lived experience of adolescent girls at school and provides an analysis of girls who demonstrate an ability to perform well academically, yet resist the regimes of school in various ways. Drawing on a study of ten middle school girls, it describes the conditions of life in school that lead to disengagement and resistance. In the social world of the school, the girls experience conflicting desires and identities. Resistance to schooling seems to be more about resistance to identity. This book makes a substantial contribution to our understanding of the complex worlds that students and teachers create. It is essential reading for anyone interested in adolescent studies. The Author: Lori Olafson is Associate Professor in the Department of Educational Psychology at the University of Nevada, Las Vegas, where she teaches courses in qualitative research methods and classroom assessment. She received her Ph.D. in language education from the University of Calgary, Alberta, Canada. One of her research areas focuses on issues of identity for middle school students.